This article is about Northern Ireland from 1920 to the present. For the history of the region previously, see History of Ulster. Northern Ireland is one of the four countries of the United Kingdom (although it is also described by official sources as a province or a region), situated in the northeast of the island of Ireland. It was created as a separate legal entity on 3 May 1921, under the Government of Ireland Act 1920. The new autonomous Northern Ireland was formed from six of the nine counties of Ulster: four counties with unionist majorities and two counties, Fermanagh and Tyrone, which had slight Irish nationalist majorities (of 53.6% and 54.6% respectively in the 1918 election). The remaining three Ulster counties with larger nationalist majorities were not included. In large part unionists, at least in the northeast, supported its creation while nationalists were opposed. From the late 19th century, the majority of people living in Ireland wanted the British government to grant some form of self-rule to Ireland. The Irish Nationalist Party sometimes held the balance of power in the House of Commons in the late 19th and early 20th centuries, a position from which it sought to gain Home Rule, which would have given Ireland autonomy in internal affairs, without breaking up the United Kingdom. Two bills granting Home Rule to Ireland were passed by the House of Commons in 1886 and 1893, but rejected by the House of Lords. With the passing of the Parliament Act 1911 by the Liberal Party government (which reduced the powers of the Lords from striking down parliamentary Bills to delaying their implementation for two years) it was apparent that Home Rule would probably come into force in the next five years. The Home Rule Party had been campaigning for this for almost fifty years. However, a significant minority was vehemently opposed to the idea and wished to retain the Union in its existing form. Irish unionists had been agitating successfully against Home Rule since the 1880s, and on 28 September 1912, the leader of the northern unionists, Edward Carson, introduced the Ulster Covenant in Belfast, pledging to exclude Ulster from home rule. The Covenant was signed by 450,000 men, some in their own blood. Whilst precipitating a split with unionists in the south and west (including a particularly sizeable community in Dublin), it gave the northern unionists a feasible goal to aim for. By the early 20th century, Belfast (the largest city in Ulster) had become the largest city in Ireland. Its industrial economy, with strong engineering and shipbuilding sectors, was closely integrated with that of Great Britain. Belfast was a substantially Ulster Protestant town with a Catholic minority of less than 30%, concentrated in the west of the city. A third Home Rule Bill was introduced by the Liberal minority government in 1912. However, the Conservative Party was sympathetic to the unionist case, and the political voice of unionism was strong in Parliament. After heavy amendment by the House of Lords, the Commons agreed in 1914 to allow four counties of Ulster to vote themselves out of its provisions and then only for six years. Throughout 1913 and 1914, paramilitary "volunteer armies" were recruited and armed, firstly the unionist Ulster Volunteer Force (UVF), and in response, the nationalist Irish Volunteers. But events in Europe were to take precedence: in what was to be the opening shot of World War I, Gavrilo Princip assassinated Archduke Franz Ferdinand of Austria in Sarajevo. Home rule was delayed for the duration of what was expected to be a short war and unionist and nationalist leaders agreed to encourage their volunteers to join the British army. The 36th (Ulster) Division, which was to suffer so severely at the Somme in 1916, was formed predominantly from the UVF. Nationalists joined in great numbers as well, with "old" Irish regiments from Munster and Leinster being greatly strengthened by these recruits. Republicans gained further support when the British government attempted to introduce conscription to Ireland in 1918. Sinn Féin was at the forefront of organising the campaign against conscription. When the veterans of World War I, on both sides of the political divide, returned from the front in 1918 and 1919, they came back as battle-hardened soldiers. In the general election of 1918, the Irish Parliamentary Party lost almost all of its seats to Sinn Féin. Of the 30 seats in the six counties that would become Northern Ireland, 23 were won by Unionists, including 3 Labour Unionists and five of the six IPP members returned in Ireland were elected in Ulster as a result of local voting pacts with Sinn Féin. Guerrilla warfare slowly gathered pace in Ireland in the aftermath of the election, leading to the Anglo-Irish War. Although lower in intensity in Ulster than the rest of Ireland, the conflict was complicated there by involving not only the IRA, British Army and Royal Irish Constabulary, but the Ulster Volunteer Force (UVF) as well. The fourth and final Home Rule Bill (the Government of Ireland Act 1920) partitioned the island into Northern Ireland (six northeastern counties) and Southern Ireland (the rest of the island). Some unionists such as Sir Edward Carson opposed partition, seeing it as a betrayal of unionism as a pan-Irish political movement. Three Counties unionists, who found themselves on the wrong side of the new border that partitioned Ulster, felt betrayed by those who had joined them in pledging to "stand by one another" in the Ulster Covenant. The Belfast Telegraph reassured unionists who felt guilty about this "that it was better for two-thirds of passengers to save themselves than for all to drown". Many Irish nationalists also opposed partition, although some were gratified that Northern Ireland contained a large nationalist minority that would deny it stability. The Treaty was given effect in the United Kingdom through the Irish Free State Constitution Act 1922. Under Article 12 of the Treaty, Northern Ireland could exercise its opt out by presenting an address to the King requesting not to be part of the Irish Free State. Once the Treaty was ratified, the Parliament of Northern Ireland had one month to exercise this opt out during which month the Irish Free State Government could not legislate for Northern Ireland, holding the Free State's effective jurisdiction in abeyance for a month. MOST GRACIOUS SOVEREIGN, We, your Majesty's most dutiful and loyal subjects, the Senators and Commons of Northern Ireland in Parliament assembled, having learnt of the passing of the Irish Free State Constitution Act, 1922, being the Act of Parliament for the ratification of the Articles of Agreement for a Treaty between Great Britain and Ireland, do, by this humble Address, pray your Majesty that the powers of the Parliament and Government of the Irish Free State shall no longer extend to Northern Ireland. I have received the Address presented to me by both Houses of the Parliament of Northern Ireland in pursuance of Article 12 of the Articles of Agreement set forth in the Schedule to the Irish Free State (Agreement) Act, 1922, and of Section 5 of the Irish Free State Constitution Act, 1922, and I have caused my Ministers and the Irish Free State Government to be so informed. Northern Ireland, having received self-government within the United Kingdom under the Government of Ireland Act, was in some respects left to its own devices. The first years of the new autonomous region were marked by bitter violence, particularly in Belfast. The IRA was determined to oppose the partition of Ireland so the authorities created the (mainly ex-UVF) Ulster Special Constabulary to aid the Royal Irish Constabulary (RIC) and introduced emergency powers to put down the IRA. Many died in political violence from 1920, which petered out after the signing of the Anglo-Irish Treaty in 1922 and through 1923. The continuing violence created a climate of fear in the new region, and there was migration across the new border. As well as movement of Protestants from the Free State into Northern Ireland, some Catholics fled south, leaving some of those who remained feeling isolated. Despite the mixed religious affiliation of the old Royal Irish Constabulary and the transfer of many Catholic RIC police officers to the newly formed Royal Ulster Constabulary (1922), northern Catholics did not join the new force in great numbers. Many nationalists came to view the new police force as sectarian, adding to their sense of alienation from the state. Under successive unionist Prime Ministers from Sir James Craig (later Lord Craigavon) onwards, the unionist establishment practised what is generally considered a policy of discrimination against the nationalist/Catholic minority. This pattern was firmly established in the case of local government, where gerrymandered ward boundaries rigged local government elections to ensure unionist control of some local councils with nationalist majorities. In a number of cases, most prominently those of the Corporation of Derry, Omagh Urban District, and Fermanagh County Council, ward boundaries were drawn to place as many Catholics as possible into wards with overwhelming nationalist majorities while other wards were created where unionists had small but secure majorities, maximising unionist representation. Voting arrangements which gave commercial companies multiple votes according to size, and which restricted the personal franchise to property owners, primary tenants and their spouses (which were ended in England in the 1940s), continued in Northern Ireland until 1969  and became increasingly resented. Disputes over local government gerrymandering were at the heart of the civil rights movement in the 1960s. In addition, there was widespread discrimination in employment, particularly at senior levels of the public sector and in certain sectors of the economy, such as shipbuilding and heavy engineering. Emigration to seek employment was significantly more prevalent among the Catholic population. As a result, Northern Ireland's demography shifted further in favour of Protestants, leaving their ascendancy seemingly impregnable by the late 1950s. The abolition of proportional representation in 1929 meant that the structure of party politics gave the Ulster Unionist Party a continual sizeable majority in the Parliament of Northern Ireland, leading to fifty years of one-party rule. While nationalist parties continued to retain the same number of seats that they had under proportional representation, the Northern Ireland Labour Party and various smaller leftist unionist groups were smothered, meaning that it proved impossible for any group to sustain a challenge to the Ulster Unionist Party from within the unionist section of the population. In 1935, the worst violence since partition convulsed Belfast. After an Orange Order parade decided to return to the city centre through a Catholic area instead of its usual route; the resulting violence left nine people dead. Over 2,000 Catholics were forced to leave their homes across Northern Ireland. While disputed for decades, many unionist leaders now admit that the Northern Ireland government in the period 1922–72 was discriminatory, although prominent Democratic Unionist Party figures continue to deny it or its extent. One unionist leader, Nobel Peace Prize joint-winner, former UUP leader and First Minister of Northern Ireland David Trimble, described Northern Ireland as having been a "cold house for Catholics." Despite this, Northern Ireland was relatively peaceful for most of the period from 1924 until the late 1960s, except for some brief flurries of IRA activity, the (Luftwaffe) Belfast blitz during the Second World War in 1941 and the so-called "Border Campaign" from 1956 to 1962. It found little support among nationalists. However, many Catholics were resentful towards the state, and nationalist politics was fatalist. Meanwhile, the period saw an almost complete synthesis between the Ulster Unionist Party and the loyalist Orange Order, with Catholics (even unionist Catholics) being excluded from any position of political or civil authority outside of a handful of nationalist-controlled councils. Throughout this time, although the Catholic birth rate remained higher than for Protestants, the Catholic proportion of the population declined, as poor economic prospects, especially west of the River Bann, saw Catholics emigrate in disproportionate numbers. Nationalist political institutions declined, with the Nationalist Party boycotting the Stormont Parliament for much of this period and its constituency organisations reducing to little more than shells. Sinn Féin was banned although it often operated through the Republican Clubs or similar vehicles. At various times the party stood and won elections on an abstentionist platform. Labour-based politics were weak in Northern Ireland in comparison with Britain. A small Northern Ireland Labour Party existed but suffered many splits to both nationalist and unionist factions. The Troubles was a period of ethno-political conflict in Northern Ireland which spilled over at various times into England, the Republic of Ireland, and mainland Europe. The duration of the Troubles is conventionally dated from the late 1960s and considered by many to have ended with the Belfast "Good Friday" Agreement of 1998. Violence nonetheless continues on a sporadic basis. In the 1960s, moderate unionist prime minister Terence O'Neill (later Lord O'Neill of the Maine) tried to introduce reforms, but encountered strong opposition from both fundamentalist Protestant leaders like Ian Paisley and within his own party. The increasing pressures from Irish nationalists for reform and opposition by Ulster loyalists to compromise led to the appearance of the Northern Ireland Civil Rights Association, under figures such as Austin Currie and John Hume. It had some moderate Protestant support and membership, and a considerable dose of student radicalism after Northern Ireland was swept up in the worldwide protests of 1968. Clashes between marchers and the RUC led to increased communal strife, culminating in an attack by a unionist mob (which included police reservists) on a march, known as the Burntollet bridge incident, outside Derry on 4 January 1969. Wholescale violence erupted after an Apprentice Boys march was forced through the Irish nationalist Bogside area of Derry on 12 August 1969 by the RUC, which led to large-scale disorder known as the Battle of the Bogside. Rioting continued until 14 August, and in that time 1,091 canisters, each containing 12.5g of CS gas and 14 canisters containing 50g, were released by the RUC. Even more severe rioting broke out in Belfast and elsewhere in response to events in Derry (see Northern Ireland riots of August 1969). The following thirty years of civil strife came to be known as "the Troubles". At the request of the unionist-controlled Northern Ireland government, the British army was deployed by the UK Home Secretary James Callaghan two days later on 14 August 1969. Two weeks later, control of security in Northern Ireland was passed from the Stormont government to Lieutenant-General Ian Freeland (GOC). At first the soldiers received a warm welcome from Irish nationalists, who hoped they would protect them from loyalist attack (which the IRA had, for ideological reasons, not done effectively). However, tensions rose throughout the following years, with an important milestone in the worsening relationship between the British Army and Irish nationalists being the Falls Curfew of 3 July 1970, when 3,000 British troops imposed a three-day curfew on the Lower Falls area of West Belfast. After the introduction of internment without trial for suspected IRA men on 9 August 1971, even the most moderate Irish nationalists reacted by completely withdrawing their co-operation with the state. The Social Democratic and Labour Party (SDLP) members of the Parliament of Northern Ireland withdrew from that body on 15 August and a widespread campaign of civil disobedience began. Tensions were ratcheted to a higher level after the killing of fourteen unarmed civilians in Derry by the 1st Battalion, Parachute Regiment on 30 January 1972, an event dubbed Bloody Sunday. Throughout this period, the main paramilitary organisations began to form. 1972 was the most violent year of the conflict. In 1970 the Provisional IRA, was created as a breakaway from what then became known as the Official IRA (the Provisionals came from various political perspectives, though most rejected the increasingly Marxist outlook of the Officials and were united in their rejection of the Official's view that physical force alone would not end partition), and a campaign of sectarian attacks by loyalist paramilitary groups like the Ulster Defence Association (formed to co-ordinate the various Loyalist vigilante groups that sprung up) and others brought Northern Ireland to the brink of civil war. On 30 March 1972, the British government, unwilling to grant the unionist Northern Ireland government more authoritarian special powers, and now convinced of its inability to restore order, pushed through emergency legislation that prorogued the Northern Ireland Parliament and introduced direct rule from London. In 1973 the British government dissolved the Parliament of Northern Ireland and its government under the Northern Ireland Constitution Act 1973. The British government held talks with various parties, including the Provisional IRA, during 1972 and 1973. The Official IRA declared a ceasefire in 1972, and eventually ended violence against the British altogether, although a breakaway group, the Irish National Liberation Army, continued. The Provisional IRA remained the largest and most effective nationalist paramilitary group. On 9 December 1973, after talks in Sunningdale, Berkshire, the UUP, SDLP and Alliance Party of Northern Ireland and both governments reached the Sunningdale Agreement on a cross-community government for Northern Ireland, which took office on 1 January 1974. The Provisional IRA was unimpressed, increasing the tempo of its campaign, while many unionists were outraged at the participation of Irish nationalists in the government of Northern Ireland and at the cross-border Council of Ireland. Although the pro-Sunningdale parties had a clear majority in the new Northern Ireland Assembly, the failure of the pro-Agreement parties to co-ordinate their efforts in the general election of 28 February, combined with an IRA-sponsored boycott by hardline republicans, allowed anti-Sunningdale unionists to take 51.1% of the vote and 11 of Northern Ireland's 12 seats in the UK House of Commons. Emboldened by this, a coalition of anti-Agreement unionist politicians and paramilitaries organised the Ulster Workers' Council strike which began on 15 May. The strikers brought Northern Ireland to a standstill by shutting down power stations, and after Prime Minister Harold Wilson refused to send in troops to take over from the strikers, the power-sharing executive collapsed on 28 May 1974. Some British politicians, notably former British Labour minister Tony Benn, advocated British withdrawal from Ireland, but many opposed this policy, and called their prediction of the possible results of British withdrawal the 'Doomsday Scenario', anticipating widespread communal strife. 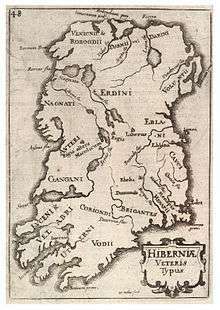 The worst fear envisaged a civil war which would engulf not just Northern Ireland, but also the Republic of Ireland and Scotland, both of which had major links with the people of Northern Ireland. Later, the feared possible impact of British withdrawal was the 'Balkanisation' of Northern Ireland. The level of violence declined from 1972 onwards, decreasing to under 150 deaths a year after 1976 and under 100 after 1988. The Provisional IRA, using weapons and explosives obtained from the United States and Libya, bombed England and various British army bases in Europe, as well as conducting ongoing attacks within Northern Ireland. These attacks were not only on "military" targets but also on commercial properties and various city centres. Arguably its signature attack would involve cars packed with high explosives. At the same time, loyalist paramilitaries largely (but not exclusively) focused their campaign within Northern Ireland, ignoring the uninvolved military of the Republic of Ireland, and instead claiming a (very) few republican paramilitary casualties. They usually targeted Catholics (especially those working in Protestant areas), and attacked Catholic-frequented pubs using automatic fire weapons. Such attacks were euphemistically known as "spray jobs". Both groups would also carry out extensive "punishment" attacks against members of their own communities for a variety of perceived, alleged, or suspected crimes. Various fitful political talks took place from then until the early 1990s, backed by schemes such as rolling devolution, and 1975 saw a brief Provisional IRA ceasefire. The two events of real significance during this period, however, were the hunger strikes (1981) and the Anglo-Irish Agreement (1985). Despite the failure of the hunger strike, the modern republican movement made its first foray into electoral politics, with modest electoral success on both sides of the border, including the election of Bobby Sands to the House of Commons. This convinced republicans to adopt the Armalite and ballot box strategy and gradually take a more political approach. While the Anglo-Irish Agreement failed to bring an end to political violence in Northern Ireland, it did improve co-operation between the British and Irish governments, which was key to the creation of the Belfast Agreement a decade later. At a strategic level the agreement demonstrated that the British recognised as legitimate the wishes of the Republic to have a direct interest in the affairs of Northern Ireland. It also demonstrated to paramilitaries that their refusal to negotiate with the governments might be self-defeating in the long run. Unlike the Sunningdale Agreement, the Anglo-Irish Agreement withstood a much more concerted campaign of violence and intimidation, as well as political hostility, from unionists. Republicans were left in the position of rejecting the only significant all-Ireland structures created since partition. By the 1990s, the perceived stalemate between the IRA and British security forces, along with the increasing political successes of Sinn Féin, convinced a majority on both sides that greater progress towards their respective objectives might be achieved through negotiation rather than violence at this stage . This change from paramilitary to political means was part of a broader Northern Ireland peace process, which followed the appearance of new leaders in London (John Major) and Dublin (Albert Reynolds). Increased government focus on the problems of Northern Ireland led, in 1993, to the two prime ministers signing the Downing Street Declaration. At the same time Gerry Adams, leader of Sinn Féin, and John Hume, leader of the Social Democratic and Labour Party, engaged in talks. The UK political landscape changed dramatically when the 1997 general election saw the return of a Labour government, led by prime minister Tony Blair, with a large parliamentary majority. A new leader of the Ulster Unionist Party, David Trimble, initially perceived as a hardliner, brought his party into the all-party negotiations which in 1998 produced the Belfast Agreement ("Good Friday Agreement"), signed by eight parties on 10 April 1998, although not involving Ian Paisley's Democratic Unionist Party or the UK Unionist Party. A majority of both communities in Northern Ireland approved this Agreement, as did the people of the Republic of Ireland, both by referendum on 22 May 1998. 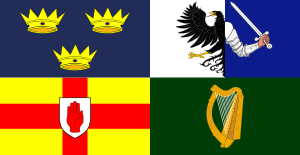 The Republic amended its constitution, to replace a claim it made to the territory of Northern Ireland with an affirmation of the right of all the people of Ireland to be part of the Irish nation and a declaration of an aspiration towards a United Ireland (see the Nineteenth Amendment of the Constitution of Ireland). Under the Good Friday Agreement, properly known as the Belfast Agreement, voters elected a new Northern Ireland Assembly to form a parliament. Every party that reaches a specific level of support gains the right to name members of its party to government and claim one or more ministries. Ulster Unionist party leader David Trimble became First Minister of Northern Ireland. The Deputy Leader of the SDLP, Seamus Mallon, became Deputy First Minister of Northern Ireland, though his party's new leader, Mark Durkan, subsequently replaced him. The Ulster Unionists, Social Democratic and Labour Party, Sinn Féin and the Democratic Unionist Party each had ministers by right in the power-sharing assembly. The Assembly and its Executive operated on a stop-start basis, with repeated disagreements about whether the IRA was fulfilling its commitments to disarm, and also allegations from the Police Service of Northern Ireland's Special Branch that there was an IRA spy-ring operating in the heart of the civil service. It has since emerged that the spy-ring was run by MI5 (see Denis Donaldson). Northern Ireland was then, once more, run by the Direct Rule Secretary of State for Northern Ireland, Peter Hain, and a British ministerial team answerable to him. Hain was answerable only to the Cabinet. The changing British position to Northern Ireland was represented by the visit of Queen Elizabeth II to Stormont, where she met nationalist ministers from the SDLP as well as unionist ministers and spoke of the right of people who perceive themselves as Irish to be treated as equal citizens along with those who regard themselves as British. Similarly, on visits to Northern Ireland, the President of Ireland, Mary McAleese, met with unionist ministers and with the Lord Lieutenant of each county – the official representatives of the Queen. However, the Assembly elections of 30 November 2003 saw Sinn Féin and the Democratic Unionist Party (DUP) emerge as the largest parties in each community, which was perceived as making a restoration of the devolved institutions more difficult to achieve. However, serious talks between the political parties and the British and Irish governments saw steady, if stuttering, progress throughout 2004, with the DUP in particular surprising many observers with its newly discovered pragmatism. However, an arms-for-government deal between Sinn Féin and the DUP broke down in December 2004 due to a row over whether photographic evidence of IRA decommissioning was necessary, and the IRA refusal to countenance the provision of such evidence. The 2005 British general election saw further polarisation, with the DUP making sweeping gains, although Sinn Féin did not make the breakthrough many had predicted. In particular, the failure of Sinn Féin to gain the SDLP leader Mark Durkan's Foyle seat marked a significant rebuff for the republican party. The UUP only took one seat, with the leader David Trimble losing his and subsequently resigning as leader. On 28 July 2005, the IRA made a public statement ordering an end to the armed campaign and instructing its members to dump arms and to pursue purely political programmes. While the British and Irish governments warmly welcomed the statement, political reaction in Northern Ireland itself demonstrated a tendency to suspicion engendered by years of political and social conflict. In August the British government announced that due to the security situation improving and in accordance with the Good Friday Agreement provisions, Operation Banner would end by 1 August 2007. On 13 October 2006 an agreement was proposed after three days of multiparty talks at St. Andrews in Scotland, which all parties including the DUP, supported. Under the agreement, Sinn Féin would fully endorse the police in Northern Ireland, and the DUP would share power with Sinn Féin. All the main parties in Northern ireland, including the DUP and Sinn Féin, subsequently formally endorsed the agreement. On 8 May 2007, devolution of powers returned to Northern Ireland. DUP leader Ian Paisley and Sinn Féin's Martin McGuinness took office as First Minister and Deputy First Minister, respectively. (BBC). "You Raise Me Up", the 2005 track by Westlife, was played at their inauguration. ↑ "Countries within a country". 10 Downing Street. 10 January 2003. Archived from the original on 9 September 2008. Retrieved 10 October 2012. The United Kingdom is made up of four countries: England, Scotland, Wales and Northern Ireland. ↑ "'Normalisation' plans for Northern Ireland unveiled". 10 Downing Street. 1 August 2005. Archived from the original on 8 August 2005. Retrieved 10 October 2012. Plans to reduce troops and abolish watchtowers in Northern Ireland to 'normalise' the province, have been outlined by the Government. ↑ "The European Sustainable Competitiveness Programme for Northern Ireland 2007–2013" (PDF). Northern Ireland Executive. 4 October 2007. p. 16. Retrieved 28 March 2010. NI (NI) is a region of the United Kingdom (UK) that operates in an island economy sharing a land border with Ireland. ↑ Statutory Rules & Orders published by authority, 1921 (No. 533); Additional source for 3 May 1921 date: Alvin Jackson (2004). Home Rule – An Irish History. Oxford University Press. p. 198. ↑ "The Irish Election of 1918". ark.ac.uk. Northern Ireland Social and Political Archive. ↑ Nicholas Whyte (25 March 2006). "The Irish Election of 1918". ARK. Retrieved 25 October 2012. ↑ "Northern Ireland Parliamentary Report". ahds.ac.uk. Stormont Papers. 7 December 1922. pp. 1147 and 1150. ↑ "Northern Ireland Parliamentary Report". ahds.ac.uk. 2. Stormont Papers. 13 December 1922. pp. 1191–1192. ↑ Fionnuala McKenna (14 January 2012). "'How much discrimination was there under the Unionist regime, 1921–1968?' by John Whyte". ARK. Retrieved 25 October 2012. ↑ Walker, Graham. A History of the Ulster Unionist Party: Protest, Pragmatism and Pessimism (Manchester Studies in Modern History). p. 162. ISBN 978-0-7190-6109-7. ↑ Curley, Helen. Local Ireland Almanac and Yearbook of Facts 2000 (Local Ireland almanac & yearbook of facts). p. 17. ISBN 978-0-9536537-0-6. ↑ Trimble, David (10 December 1998). "The Nobel Lecture given by The Nobel Peace Prize Laureate 1998". Oslo. ↑ MARC MULHOLLAND (2000). "Assimilation versus Segregation: Unionist Strategy in the 1960s" (PDF). Twentieth Century Brit Hist. Retrieved 25 October 2012. ↑ Kennedy-Pipe, Caroline (January 1997). The Origins of the Present Troubles in Northern Ireland. Longman. ISBN 978-0-582-10073-2. ↑ McGarry, John; Brendan O'Leary (15 June 1995). Explaining Northern Ireland. Wiley-Blackwell. p. 18. ISBN 978-0-631-18349-5. ↑ Dermot Keogh, ed. (28 January 1994). Northern Ireland and the Politics of Reconciliation. Cambridge University Press. pp. 55–59. ISBN 978-0-521-45933-4. ↑ Weitzer, Ronald (January 1995). Policing Under Fire: Ethnic Conflict and Police-Community Relations in Northern Ireland. State University Press. ISBN 978-0-7914-2248-9. ↑ Coakley, John. "ETHNIC CONFLICT AND THE TWO-STATE SOLUTION: THE IRISH EXPERIENCE OF PARTITION". Retrieved 15 February 2009. ↑ Aughey, Arthur. The Politics of Northern Ireland: Beyond the Belfast Agreement. p. 7. ISBN 978-0-415-32788-6. 1 2 Holland, Jack (1999). Hope against History: The Course of Conflict in Northern Ireland. Henry Holt & Company. p. 221. ISBN 0-8050-6087-1. The troubles were over, but the killing continued. Some of the heirs to Ireland's violent traditions refused to give up their inheritance. ↑ Gillespie, Gordon. Historical Dictionary of the Northern Ireland Conflict. p. 250. ISBN 978-0-8108-5583-0. ↑ Elliot, Marianne (2007). The Long Road to Peace in Northern Ireland: Peace Lectures from the Institute of Irish Studies at Liverpool University. University of Liverpool Institute of Irish Studies, Liverpool University Press. p. 2. ISBN 1-84631-065-2. ↑ Goodspeed, Michael (2002). When reason fails: portraits of armies at war : America, Britain, Israel, and the future. Greenwood Publishing Group. pp. 44 and 61. ISBN 0-275-97378-6. ↑ "Draft List of Deaths Related to the Conflict. 2002–". Retrieved 31 July 2008. ↑ "Background Information on Northern Ireland Society – Security and Defence". ARK. 17 January 2012. Retrieved 25 October 2012. ↑ Taylor, Peter (1999). "21: Stalemate". Behind the mask: The IRA and Sinn Féin. pp. 246–261. ISBN 1-57500-077-6. ↑ Lavery, Brian; Cowell, Alan (29 July 2005). "I.R.A. Renounces Use of Violence; Vows to Disarm". The New York Times. Retrieved 4 May 2010. ↑ Brian Rowan (2 August 2005). "Military move heralds end of era". BBC News. Retrieved 21 March 2008. Bew, Paul, and Henry Patterson. The British State and the Ulster Crisis: From Wilson to Thatcher (London: Verso, 1985). Henessy, Thomas. A History of Northern Ireland, 1920-1996. St. Martin's, 1998. 365 pp. Kannedy, Líam; Ollerenshaw, Philip, eds. (1985). An Economic History of Ulster 1820 – 1940. Manchester: Manchester University Press. ISBN 0-7190-1827-7. McAuley, James White. Very British Rebels? : The Culture and Politics of Ulster Loyalism (Bloomsbury Publishing USA, 2015). Wikimedia Commons has media related to History of Northern Ireland. "Northern Ireland". Encyclopædia Britannica Online. Encyclopædia Britannica. 2 July 2006.